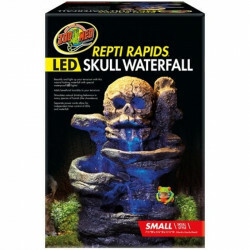 Welcome to the Reptile Habitat Decorations superstore! 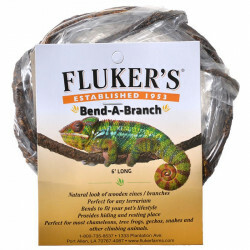 Reptiles are creatures of instinct, and as such it is important for reptile owners to provide their scaly pets with habitats that mimic the snake, lizard, turtle or frog's natural environment. Filling your pet's terrarium, cage or tank with authentic, naturalistic decorations is essential to promoting its natural behaviors and activities, while stimulating its mind and preventing boredom, fear, and stress. Basking platforms, caves & huts, real driftwood, plants & vines, and more all serve to provide your reptile with whatever type of habitat it needs to thrive. 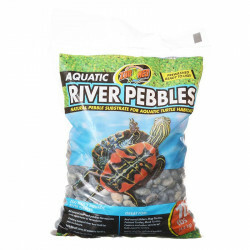 Pet Mountain's Reptile Habitat Decorations store features top quality products from the most trusted names in reptile care and terrarium accessories, including Zoo Med, Zilla, Reptology, Tetrafauna, Exo-Terra, and more. 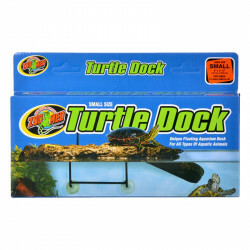 Our Reptile Basking Platforms store is full of unique, attractive structures that provide your lizard or aquatic turtle with the means to get closer to its basking lamp for some healthy warming. Whether you're looking for a naturalistic stone look or a miniature wooden dock, we have it here. Reptiles love to hide and rest in cool, concealed places. 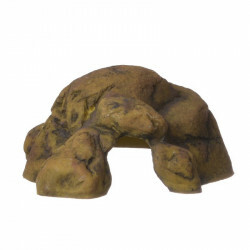 Our huge selection of Reptile Caves & Huts contains logs, stone steps and rock caves that make perfect "dens" for your snake or lizard. Hiding in their dens gives reptiles a sense of safety and security that in turn reduces stress and the risk of illness. In addition to hiding, reptiles have natural instincts that drive them to climb and explore. This is a natural part of their hunting rituals, and often offers you some of the best views of your pet's activities. 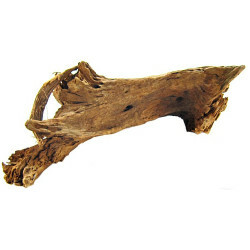 Our Reptile Driftwood store has natural driftwood pieces that give pets authentic climbing opportunities, in addition to enhancing the natural look of your terrarium setup. Nothing satisfies a reptile's instincts like the real thing! And of course, don't forget to really dress the tank up with some flora! 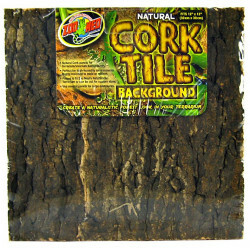 We have plenty of Reptile Terrarium Plants and Reptile Habitat Vines to turn your reptile tank into an actual jungle!